One of the most exciting developments in our world over the past couple of months is that Bud has started reading. He is sounding out letters and slowly stringing them together until *PING* he recognizes them as words - "ba-ba-ih-baih-baih-ga-ba-ih-ga-ba-ih-g-baihg-BIG!" He is VERY proud of himself, and there's just about nothing better than that. He's also really interested in the process. Part of his motivation comes from the fact that he has discovered a real utilitarian value to being able to spell out words: it allows him free reign to program the TiVo all by himself. Last week as I was getting ready for work, Bud called up the stairs "Mama, I need help!" "What do you need help with?" I called back. "I need help to tape Jack's Big Music Show!" The boy is amazing. Since that time, he has mastered the art of Tivo as well as the spelling of Jack's Big Music Show, It's a Big Big World, Teletubbies, and Boohbah. It's not all about the tv, though. Bud also loves books. He loves reading together, and he enjoys spending quiet time alone with his books looking at the pictures and talking to the pages. He is passionate about his favorites - and I have to say, he has good taste. I think I enjoy his favorites as much as he does. And so, in tribute to Bud's emerging literacy, I present le creme de le creme: Bud's Best-Loved Books. This simple counting book was one of the first that Bud memorized and could "read" to me. He still loves it. He seems particularly drawn to the family dynamics, and eagerly points to each family member to determine the equivalent person in our own family. As this family has five children and we only have Bud, we have to employ cousins in our version of the story... but I suspect that that's all part of the fun. 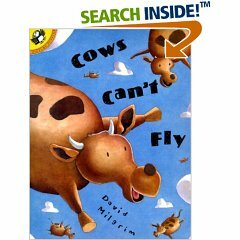 This book really captures Bud's imagination, as it tells the story of a boy whose picture of flying cows inspires an entire herd to take to the sky. Alas, none of the adults can be bothered to look UP, and the boy and his dog are the only witnesses to this magical event. I especially love the conversations that Bud and I have about the boy's mother, who is working with a power drill, and his grandmother, who is working as a mail carrier. Two of Bud's very favorite things - jungle animals and dancing - are central to the plot of this beautiful book about being different. Bud loves the monkeys who cha-cha. I love the message that the story sends to my boy about finding his way in the world. And the best part is, I can finally read the whole thing out loud without getting choked up. 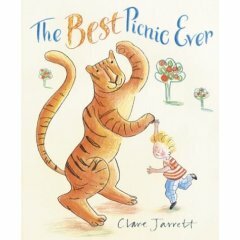 I loved this book when I was Bud's age, and I love that he loves it just as much as I did. 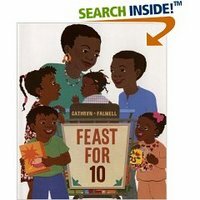 It is a gentle story that reads like (and may well be) a traditional folk tale. Bud loves the monkey-see, monkey-do shenanigans on which the plot turns, and we both delight in shouting out the peddler's lines together... okay, the peddler's lines AND the monkeys'. 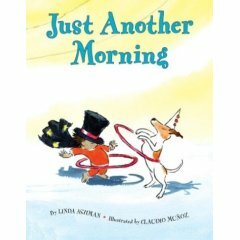 Bud loves that the main character in this book is named Jack, especially now that he can READ the word "Jack"... as in, Jack's Big Music Show. 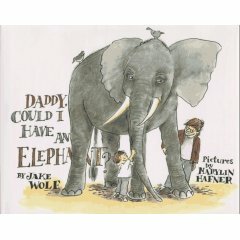 But he also loves that as Jack waits for his mom to prepare their picnic, he passes the time playing with a giraffe... and an elephant... and a leopard... Now THAT is Bud's idea of a good time! As long as we're just pretending. 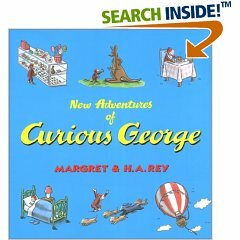 This book gorgeously, delightfully crawls inside a young boy's imagination and takes us along on his wild, exciting morning expedition. 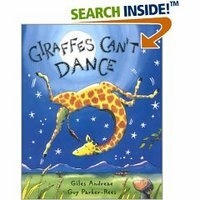 Sometimes when Bud and I read the book we talk about how the "giant" is really the boy's Daddy and how the "monster" is really the vacuum cleaner, and Bud scurries to find his own "wild" animals so that he, too, can sleep in a zoo. But most of the time we just hold on tight and enjoy the adventure. These are two seemingly unrelated books, but in my mind they are connected. Peanut Butter Rhino tells the story Rhino, who is preparing for a picnic when he accidentally (an unknowingly) sits on his peanut butter sandwich. He spend the story looking for his sandwich, while Bud squeals with glee, "It's on his BUM!" In P.J. Funnybunny Camps Out, P.J. and his male friends go camping and exclude the girls, saying "Camping is not for girls." However, in a twist ending (don't keep reading if you don't want to ruin the surprise) we discover that the girls have posed as ghosts and scared the boys, proving that the boys may not be as tough as they thought... nor the girls as weak. Neither of the books is particularly compelling to me as a work of children's literature. But they are both invaluable learning tools as I work with Bud on perspective-taking. 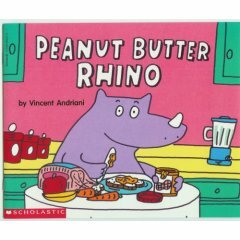 As Bud and I read them together, it is easy to talk about how we know where the peanut butter sandwich is ("On his BUM! "), but how Rhino thinks it might be up that tree or in this cave. We have similar conversations about the fact that we know that Honeybunny and Donna Duck were pretending to be ghosts, but that P.J. and his friends believe that the ghosts were real. Bud continues to struggle with the concepts, but the allure of these books keeps him engaged in the conversation. So there you have it - the best in books from Bud and me. Lots of other books go in and out of vogue, but these are the ones that continue to find themselves on the bedside table. We hope you liked our choices and, hey - thanks for reading! 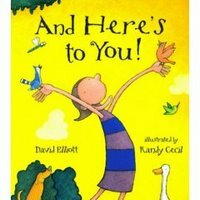 Thanks for sharing- these all sound like fun books! I scrolled down, thinking that surely I'd find a book that we also like to read- but these are all new to me! We end up reading a lot of Disney at bedtime, but maybe I will borrow some of these from our favorite place (the library) and spice up our reading. It's so exciting that Bud is reading and writing. This seems like another example of a perseveration with a good result. In my case, Henry always wants me to find certain sites for him on the computer. Instead of discouraging that perseveration, maybe I could encourage HIM to type in addresses and search words himself? I just wanted to chime in with a new favorite with our house. It's entertaining and quite useful too. Reed's Behavioral Therapist recommended it, and loaned us her copy, but I'm placing an order with Amazon this afternoon for a copy to keep. It's called That's Good, That's Bad by Margery Cuyler. Not only does Reed love to read it, but it gives us a valuable opportunity to discuss the "why's" that he loathes so much. It helps him understand that there can be more than one way of looking at a situation. Steph, we've actually borrowed That's Good, That's Bad from the library! It didn't grab Bud at the time, but I think maybe we should give it another try. We *really* struggle with those "why" questions as well. What a great read! 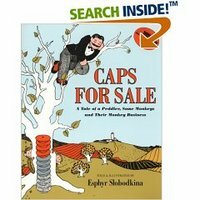 I had never heard of any of these except for Caps for Sale and, of course, that curious monkey. Charlie is not a book boy (though he does have a taste for a good story, especially about people) and your list, and Bud's enthusiasm, are an inspiration. Amazing post...thanks for recommending these books. I really do buy recommended ones by the people I read! Those look like great books! 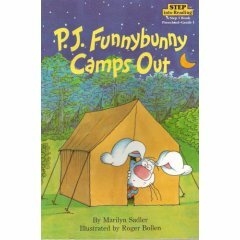 We only have PJ Funnybunny, left over from when my oldest daughter was little. C has actually been reading it over and over lately.